Thessaloniki, 2007. A young Anglo-Greek hears his grandparents' life story for the first time and realises he has a decision to make. For many decades, they have looked after the memories and treasures of the people who were forced to leave. Should he become their next custodian and make this city his home? Have you ever picked up a book not knowing what to expect? The synopsis sounds alright, the author seems well liked, but you just don't know what you're getting yourself into. I imagine most people experience this all the time when trying to decide what to read. Sometimes the book doesn't work out and sometimes you find yourself completely immersed in a gripping tale. 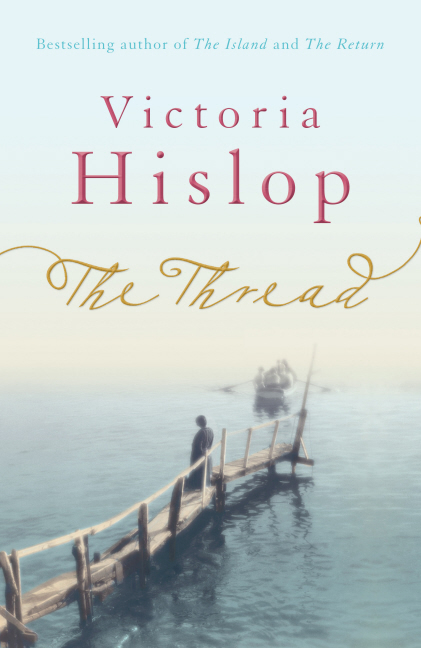 The latter was my experience with Victoria Hislop's novel The Thread. This novel wove a magnificent tale and that is why I enjoyed it so much. The story begins in present day Thessaloniki where we meet Mitsos, a young man attending a local university, and his grandparents. After learning a bit about what the city is like today, we settle down with Mitsos to learn why his grandparents adamantly refuse to leave the city. This is when the magic starts. The only negative thing I found about this book has to do with the fact that it takes place over quite a long span of time, at least sixty years, if not longer. I loved that I got to see all of the characters grow and develop and that I experienced many historical events. However, some parts in time were skipped over without any real indication of how much time had passed. Sometimes it seemed like the story jumped ahead by almost ten years and I missed all of it. This issue is probably why I only gave this book four stars. I think if there had been obvious markers of time passing I would have enjoyed it a little more. Then again, maybe there were and I just managed to skip over them. I'm willing to give Hislop the benefit of the doubt as I loved the story telling in this book that much. Overall, I really enjoyed The Thread. I loved all the characters and the historical aspect to the novel. What really made me enjoy this book, however, was the way Hislop told the story. I absolutely adored it and I think many others will enjoy this tale as well. I definitely plan on checking out more of Victoria Hislop's books in the future!